But you'll love just the same. Marble countertops are more or a less a staple of most modern-day kitchens, and for good reason. The stone’s timeless elegance adds a captivating detail to any space. That said, we always like to shine the spotlight on non-traditional materials, too. 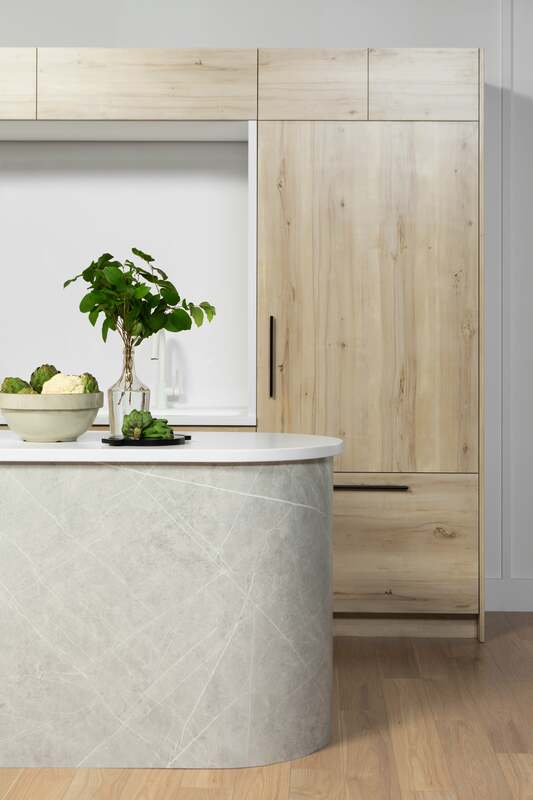 It seems like there is a near-limitless array of creative ways to outfit your kitchen counters: Concrete, quartz, stainless steel, stained oak veneers… the list goes on. If those don’t hold immediate appeal, perhaps their budget-friendly aspect will. After all, your kitchen is at the heart of your home, so it’s only natural that you want to treat every aspect of it with care and consideration. Whether you’re in the market for a simple update or looking to invest in a total kitchen renovation, allow the countertop ideas ahead to double as a source of inspiration. Consider concrete as a means of inviting a bold dose of style to an otherwise neutral space. Take a design cue from Faye Toogood’s studio, where the material fits right in with the moody, modern-farmhouse-esque vibe. Aside from contributing a burst of warmth to a room, these oak countertops (from Naked Kitchens) are all about allowing for a solid and versatile workspace. Sam Ushinro of the Aww Sam blog translated her signature pastel aesthetic into her rental’s kitchen thanks to a few strategic updates. The countertops are actually from a kit that “allows you to paint a new countertop and imitate the effects of having real granite. After putting a black base coat down, you put on three layers of mineral paints, and then finish with a clear top coat to give it the look you want.” See Sam’s full kitchen reno here. John and Gina of Leeward furniture executed their kitchen reno completely by hand. A custom job through and through, John innovatively mixed raw, reused oak counters with a simple white Corian for a truly unique, craftsman look. Why not match your countertops to your appliances? Here, the stainless steel countertops in this LA townhouse complement the appliances and matching open shelving. Silver cabinet pulls against pale teal cabinets really bring the room together. It may look like marble, but it’s actually Formica! This once-retro option is making a comeback, offering easy-to-care-for counters in basically any design you can imagine. Nail the rustic-modern look with a distressed plank countertop. Bonus: imperfections are at the center of this material’s charm, so maintenance is a breeze! Concrete countertops are the latest kitchen craze—this version, with a roughly troweled feel, lends an industrial vibe to the otherwise modern kitchen. Butcher block countertops are always in fashion, and add an organic feel to a kitchen that is missing marble. A sheet of brushed stainless steel layered on top of an exposed edge of clear-sealed multi-ply plywood is the secret to this cool countertop. Consider this look when you crave an industrial vibe with a dose of character. Likewise, take a closer look and you’ll notice that that chic countertop is actually made of plywood. Butcher block countertops combine well with black cabinets in a space that’s balanced with bright and cheerful elements. Talk about bold design—black cabinets, brass hardware, and multi-toned butcher block countertops are nothing short of perfection. What could pass as concrete or granite is actually black soapstone – a natural material that has a milkier color than ultra-sleek granite or marble. Consider soapstone if you’re craving a rustic addition to your kitchen that’s low-maintenance and resistant to staining. Nail the rustic look with a combination of concrete and wood that’s still very cozy and inviting. This story was originally published on August 8, 2016. It has been updated with new information. For more stories like this, sign up here for your daily dose of Domino.